Apart from carpet cleaning, we are also specialists of rug cleaning in Singapore and you can expect the same kind of professionalism in us as with carpet cleaning. Our experts are meticulous in handling the rugs and will help restore the rug to its original condition to the best of our abilities. 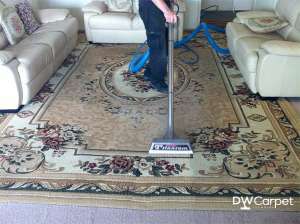 Our specialists will follow the most appropriate steps to clean your rug as perfectly as possible. The cleaning process which we use is proven and accepted throughout the world. The first step is to run our machine on your rug. There will be two brushes which are counter rotating which will remove the loosen dirt. It will make an effect of lifting for provide the best cleaning. We use the pre-spray solution as well. It has two benefits. First of all, it removes any kind of odors. Secondly it can be used on the heavily soiled portion of the rug to make it loose. Then the machine is used for brushing in all different directions which reaches very deep down. The solution will dissolve the dirt and when the solution will passes through the residuals, it will have transformed into small crystals. The third step is collecting. In this step we use a vacuum cleaner with brush action to collect the entire absorbed dirt, crystals, and soiled organics on the rug. The last step we do is sanitizing. In this way we make your rug free from any kind of bacteria, viruses, and allergens. We follow a few rules which make our service our pride and joy. At one side our service is user friendly and on the other we make it rug friendly as well. There is no requirement of furniture removal for rug cleaning. We keep the drying time as short as possible. Our cleaning process helps the rug to get rid of re-soiling. We use the methods of cleaning which are cost effective. Our machines are portable. So, you don’t need to make arrangement of any large van. We take considerably care to keep your rug at the best condition. You will not find any soaked rug after cleaning. You will not find any trace of water marks after cleaning. There will not be any sticky residues. No chemical residue will be there as well. We use only those products for cleaning which is safe for all types of rugs. After the cleaning is done you will not see any damage in color of the rug. First of all, we don’t use the traditional way of cleaning the rug. We have already seen there is chance of damage with the traditional procedure. We only use the dry foam shampoo for the cleaning purpose. We take special care to dry the rug at the quickest time possible. We try to complete the thing within half an hour only. However, because of the various sizes of rugs the time may vary in few cases. Thus we complete the rug restoration within the quickest time possible. We use completely safe liquids and other products for the cleaning purpose. All the products are absolutely environment friendly. It will not do any harm to children. The cloth will also be safe. We have already set a standard of using biodegradable and non-toxic products while cleaning the rugs. After the completion of the job it is taken care of that the color of the rug remains absolutely fine. Throughout the cleaning service we will take care of the quality of service. We will make sure that our specialist will do the work at your convenient time. They will take the rug from you and within the best possible time they will provide you the cleaned rug. We have the specialists doing the cleaning job who will understand very well about what cleaning method they need to use for a cleaning job. 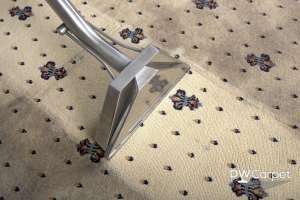 Accordingly, they will opt for the optimal cleaning method and will ensure that any kind of stain on the rug is cleaned in the best possible method. So, if you are thinking of appointing us for Oriental rug cleaning or normal rug cleaning service, it is surely going to make you satisfied. Whether it is for the commercial service at Singapore or you need to clean the rugs for your home we are ready to provide you the best quality service all time. We also take care of the fact that we can provide you the service in the most competitive price available in the market.